Viknesh Vijayenthiran November 30, 2018 Comment Now! Nissan in 2011 graced us with a race car concept based on the first-generation Leaf electric hatchback. Nissan built the concept to draw attention to the seemingly untapped performance potential of electric cars, though the concept wasn't particularly fast, its electric motor generating just 107 horsepower and 207 pound-feet of torque, and thus it was quickly forgotten. Now Nissan has a successor based on the second-generation Leaf. 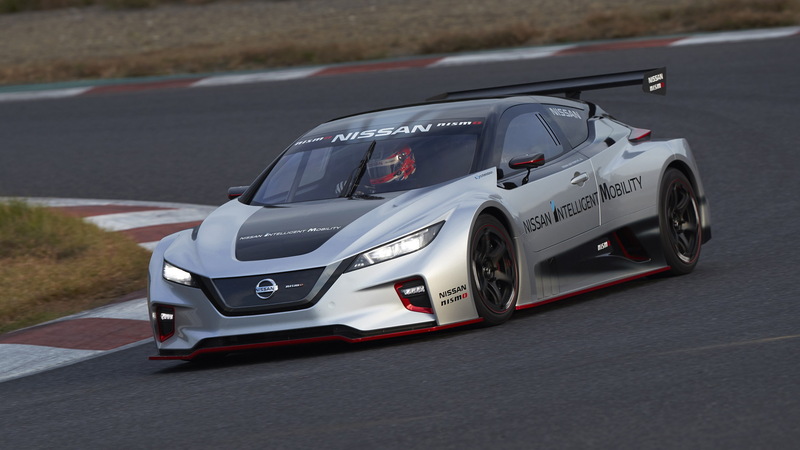 Once again called the Leaf Nismo RC, the latest concept, unveiled in Japan on Friday, packs more than double the power and torque of its predecessor. 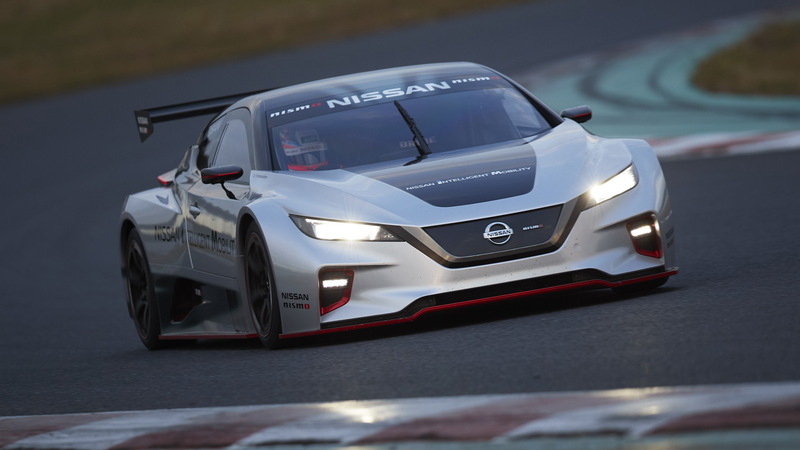 It also has a lot more relevance now that Nissan is participating in Formula E.
The mechanical setup for the Leaf Nismo RC is very different to what you find in the regular Leaf. For instance, the race car concept packs an electric motor at each axle for a combined 326 hp and 472 lb-ft, whereas the regular Leaf has a single electric motor up front with 147 hp and 236 lb-ft. Some components borrowed from the regular Leaf include the battery and inverters. 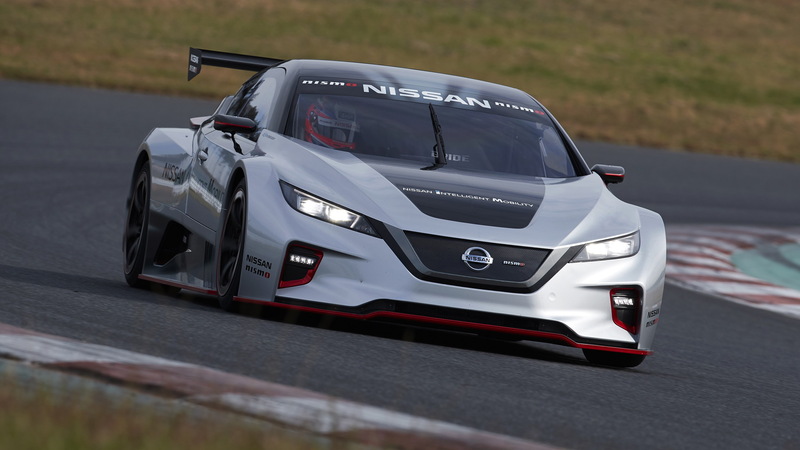 The Leaf Nismo RC also features a bespoke monocoque chassis crafted from carbon fiber. The car’s three-piece body includes removable front and rear sections, fixed windows, LED headlights and tail lights, and an adjustable rear wing. The race car design has enabled the weight to remain a relatively lithe 2,689 pounds. With its low weight and high-performance powertrain, the Leaf Nismo RC boasts a 0-62 mph time of 3.4 seconds, making it twice as quick as its predecessor. 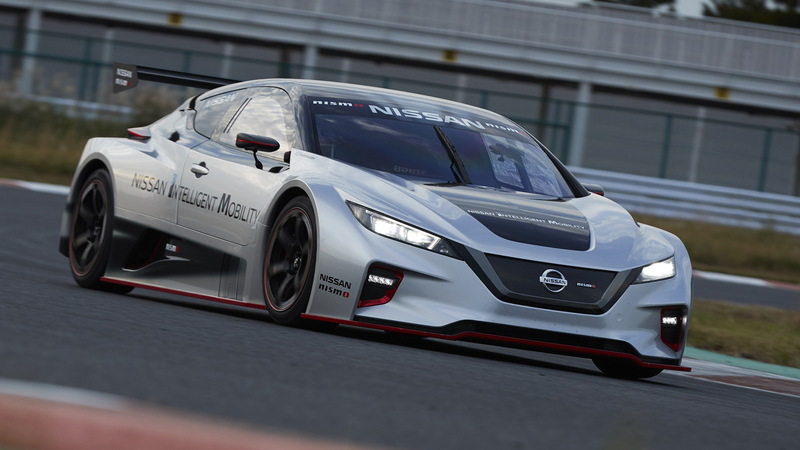 Hopefully we see such a setup in a future performance EV from Nissan. 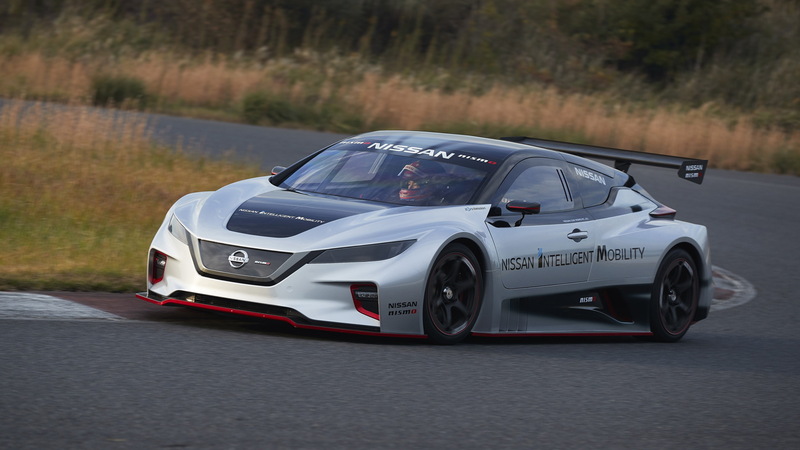 Nissan will build six examples of the Leaf Nismo RC to be used in various demonstrations around the globe. Some will follow Nissan's Formula E team and make demonstrations at the various ePrix races. Nissan's second-generation Leaf was introduced for 2018 with a 40-kilowatt-hour lithium-ion battery good for 150 miles. A long-range model likely packing a 60-kwh battery is planned but Nissan hasn't mentioned timing.